Winter is rapidly approaching and with that, it’s time to start thinking about winterizing your patio. Sure, this means a lot of cleaning and storing certain items to provide them with protection from the harsh winter elements, but the money you can save from avoiding damage to your patio furniture is like gold in the bank. The following are a few tips to help you get started with your patio winterizing project. Whether or not you use the chairs and tables on your patio much, it is always a good idea to clean them off on a fairly regular basis. This is essential when you are getting ready to store them inside for the winter. 1. Use a multi-purpose cleaner, such as 303® Multi-Surface Cleaner to wipe down any seat cushions and other chair and table frames. If your patio furniture is particularly grimy or covered in mold, you may want to scrub them down to remove any mold. 2. Allow seat cushions to dry in the open sun completely to prevent any chance of mildew forming. 3. 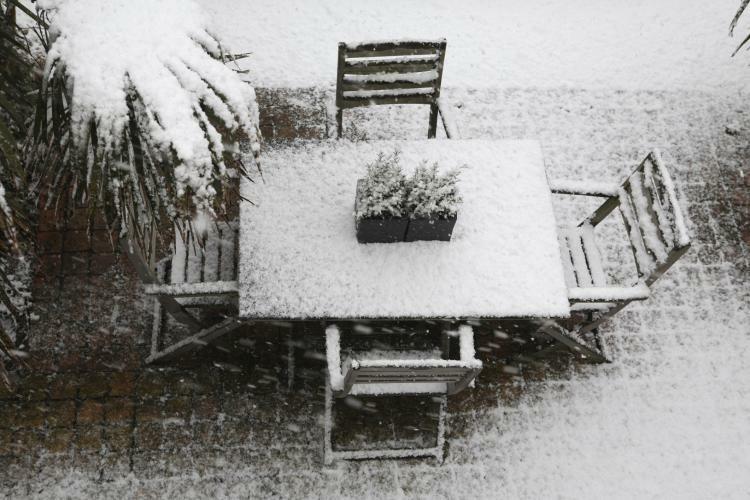 If you like to keep your patio furniture in pristine condition, you may consider bringing the chairs and tables inside for protection against the elements during the cold season. If you need to leave your patio furniture outside, for lack of indoor storage space, it is generally a good idea to cover the furniture with a tarp, making sure to tie the tarp securely around the legs of the furniture being covered. You’ve been using the grill most of the year and it really could use a thorough cleaning before packing it away for the winter. 2. Once it is up and running, allow it to burn for a while, burning off any residue that might still remain. Do not use any harsh cleaning agents on your grill which could damage sensitive parts and prevent its proper use or functionality. 3. When the residue has burned off, take a wire brush and gently remove any bits of grime. 4. Remove the grease tray, thoroughly cleaning it with a quality degreaser. 5. Proceed to clean the grime and dirt off of the exterior regions of the grill using 303® All Purpose Grill Cleaner & Degreaser. 6. 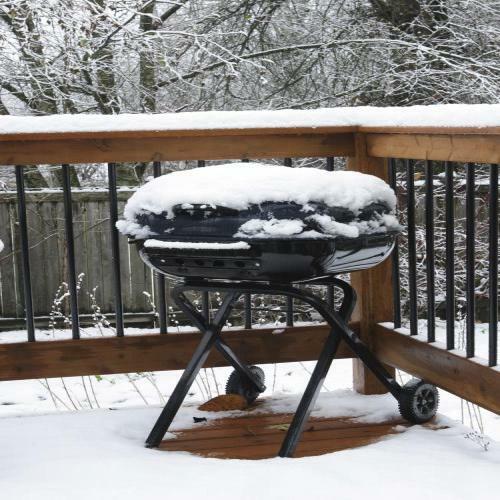 Decide if you want to store your grill inside or cover it for the winter. If you decide on storing your grill inside, be certain to detach the propane tank, covering it with some type of plastic covering. It is never a good idea to store a propane tank inside. If you intend to leave the grill outside, then make sure it has cooled down, everything is off, and cover it with a suitable plastic tarp, making sure the wind cannot rip the tarp off and blow it across the yard. If you happen to live in a region with a lot of potential snowfall, it is generally a good idea to store your garden tools and hoses, giving them protection from the elements during winter. The cold can cause hoses to crack and so it is smart to wrap them up neatly and bring them indoors if possible. Exposure to ice can be damaging to garden tools–especially those with wooden handles. Ice can get into any cracks in the wood, and as the ice swells, it can weaken the wood, making the tools an unsuspecting break hazard. Now it’s time to take down the hammock. 1. Remove the hammock from the hooks that secure it in place. 2. Clean the hammock using 303® Multi-Surface Cleaner. It is not recommended to use bleach when cleaning a hammock, since bleach can weaken the fabric of the hammock, creating a potential safety hazard. 3. Lay the hammock out to dry thoroughly. 4. Carefully pack it up and store it away in a protected place for the winter. Over the course of the last year or so, the surface of your patio has probably started to look a little dingy. Wind and rain can wash all sorts of dirt, grime, leaves, and other forms of debris into the patio region, leaving a mess for you to clean up. It is generally a good idea to remove everything from your patio and give it a good going over with a broom, removing any small pieces of loose debris. Then, to really get the surface clean, washing the surface with a pressure hose can help to get rid of the rest of the dirt and grime. With a little thought and a lot of good old-fashioned elbow grease, you will complete your patio winterizing project in no time!